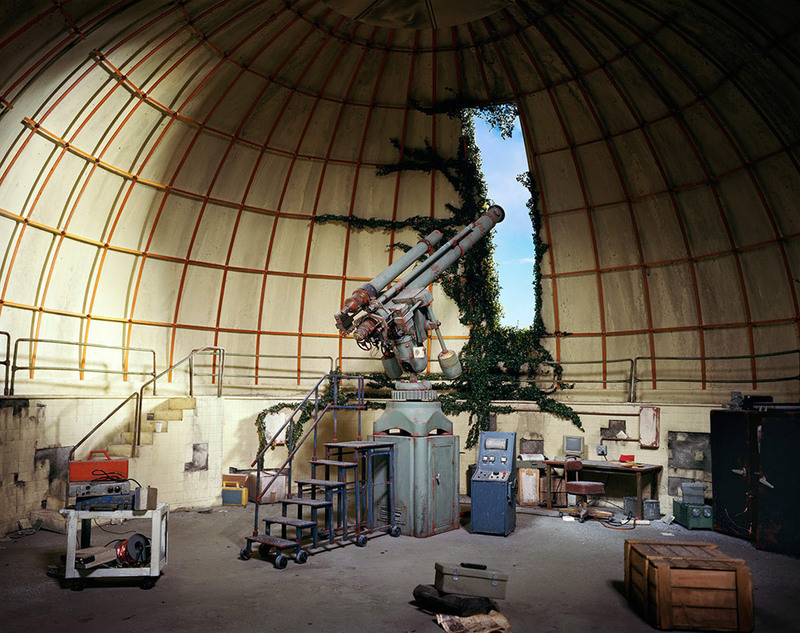 Image: © Lori Nix, “Observatory,” 2015, Archival pigment print. Lori Nix (b. Norton, Kansas, 1969) is a photographer based in Brooklyn, New York. She studied Ceramics and Photography at Truman State University and Ohio University. Since the early 1990s, Nix has been building highly detailed dioramas using miniatures and models to create realistic, although surreal scenes and landscapes. She then photographs them and exhibits the final pictures where no digital manipulation is involved. Her work has been widely recognized and exhibited internationally. Some of her awards include the Greater Columbus Ohio Arts Grant (1998), the Ohio Arts Council Individual Artist Grant (1999), her participation in the AIM program of the Bronx Museum of the Arts (2000), the New York Foundation for the Arts Individual Artist Grant (2004 and 2010), and a Guggenheim Fellowship in the Creative Arts for Photography (2014). Nix is currently exhibiting three works from the series “The City” (2005-2013) in the show “Architectural Intersections,” at Lehman College Art Gallery.